What up people!! 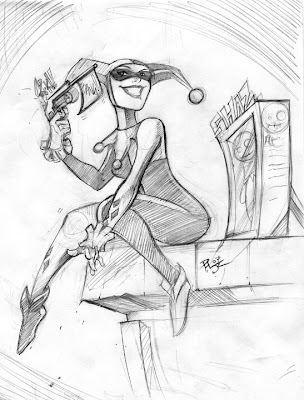 Got a fresh one up for the fans of Harley Quinn... This character has always been a favorite of mine. I don't know what it is, her quirky outfit, personality, or both... she's just dope!! She's mad fun to draw too. Anyways y'all, enjoy the piece... peace!! that's cool babe. :) she has a doll? :) cool.